EPPICard debit card is the safest and convenient way to access your deposits. It is welcome just about everywhere that you shop, get cash-back with your purchase at many retailers and can be used to pay your bills. With EPPICard, one can check available card balance, review card transaction history, manage card account and setup important card account activity details. Users with a problem should navigate to the EPPICard website and find their state in the drop down menu. There will be individual customer service numbers are listed by state. Cardholders who have comments or complaints about their child support case should not contact EPPICard. Instead, they should contact the Child Support Division immediately at the Office of the Attorney General toll-free at 800-252-8014. 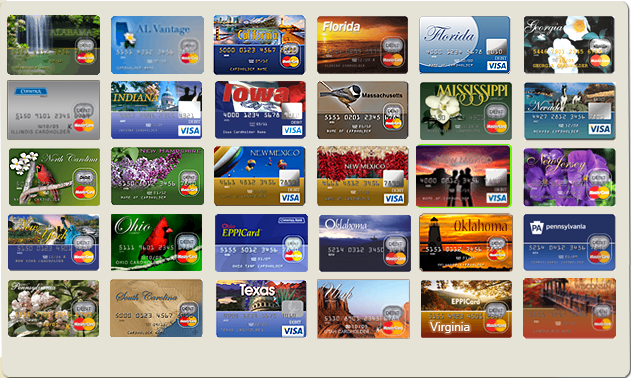 Common issues include child support payments, ATM withdrawls, and customer service problems. The corporate offices are located in Texas at PO Box 245997, San Antonio, TX 78224. I have a performance pays card through my employer. It was hacked into on our secure website. I was able to cancel the card and I was sent the information to dispute charges. The company heading is EPPICard. However, I have no way to access my account to dispute the charges. I Was told that I would be sent statements of charges in the mail. I did not. I received one charge. I have been trying to contact the company for a week with no success. On hold for over 2 or 3 hours. There is no email address or physical address on the heading. I am believing that perhaps this company is the hacker. I have contacted my corporate security and plan on reporting to the better business bureau. I will NOT let this drop. no customer service what so ever. The automated line does not allow the option to speak to a customer service rep. There is no way to have any issue resolved. For starters not one star is deserved! I was locked out of my online account and couldn't talk to a real person. after several attempts and being hung up on 3 times I finally talked to someone who told me I had to wait on a follow up call that would take up to 5 days. THIS IS RIDICULOUS!!!! For the last month and a half I have spent over 20 days in the hospital (as well as days home trying to recuperate) unable to go to work which means unable to pay my bills. I have an organization that is willing to assist me. I need documentation from child support in order for them to do so. It amazes me how you can help yourself immediately charging me for checking my account but can't immediately help me unlock the account so I can access my own information. Thanks for nothing!! I have been calling since May 30th about an on going issue. My card was compromised, so I canceled the card and was issued a new card. I also have been disputing fee reverse in the amount of $8 due to my card being compromised and I spoke with serval different people who were very unprofessional including a supervisor. I believe the people at this company are taking people's child support payments, I have been trying to speak with a supervisor as a follow up on my fee reverse and each time when I call they are stating that it's not one available to speak with me. I only got in contact with one supervisor about this matter and now I can get in contact with another to follow up on my fee reverse dispute. Can someone please contact me in regards to this matter. I can be reach at 414-215-5501. On the first I checked my deposit history on my child support card and it said I received a payment of 100.00 on the 28th of July and another on the first of Aug ,and I have this recorded, now on the 28th of Aug I still have not received any more payments but eppicard is changing my deposit history to lie , it now says I received two 100.00 payments on the first of Aug and two 100.00 payments on the second of Aug . Get out of eppicard if you can. I'm giving the recordings to my lawyer and will update! I have never had a problem with getting my child support payments. Since the Government put this joke of a company in place, this EPPicard Company has literally stolen over one thousand dollars of my money that's owed to me. I do not think this is fair. Ive never been on cash assistance or aid and I've been jerked around more than anything. Im struggling every day. My card was stolen twice. When i asked the second time to replaced it, i was charged the fee but the card never came. There have been supposed transactions on my account that I can honestly prove beyond any doubt that i absolutely did not make. This would be a better company if it were honest and not embezzling money that is in no way owed to them. I have been getting child support since sep 15 2016. Since the day my card came in the mail I have had nothing but problems with money coming up missing. I have called the 1-877-777-1617 customer service number for Eppicard many times since the problems started. Well, they get rude with me hang up on me don't answer any of my questions. They tell me they will have someone call me back in 10 days to tell me what happened to my money. They never do, I am a single mom of two and I am struggling to make it. This is my only income! Please help, how are my credits and debits more then the payment I received for the month? What happened to my money. I can send copies of my cleared transactions. They keep telling me that they refunded my account, well I did not get the refund or see anything saying it was refunded. All I see is it under cleared transactions. I filed a fraud claim with Eppicard. But they denied and closed my case without investigation. This company is bogus! I was being charged every time I made my free withdrawal that came with my deposit. In the state of Indiana you are required one free withdrawal per each deposit at the participating bank ATMs I never got my free deposits. I called customer service they put in tickets and still has not been resolved over 4 months now. I am missing three months of child support payments and the state of Indiana has instructed me to call EPPI to inquired where my money. I can't get a live person on the phone when I call them. Now I am reading more complaints and I see I am not the only one with this problem. I received an Eppicard from California child support. First time getting child support in 5 years! They send it on a card that has fees attached to it! Completely outrageous. So I called Eppicard to cancel, and customer support told me if I cancel card I wont be able to get a paper check from Child Support. So I have to accept your fees or just not ever get child support? If every person receiving child support in California gets it on an EppiCard, think how much that card/bank must be making just off fees alone? I was highly upset and asked who I could write to complain. EppiCard services does not have a complaint compartment according to their customer service. Also, I called child support and found out it was a total lie- I can, in fact cancel my card and receive a paper check from child support. From a moral standpoint not sure how these people live with themselves. Fees should be charged to the non-custodial parent and not to the parent caring for the child. Especially when no child support has been received in years! On top of that, fees every time you go to ATM, every time you go to bank? Its completely outrageous and not sure if legal. Customer service lying and saying you have to keep card to get child support. Thank God I'm not dumb! Sure would love for an attorney to take it on! I, being somewhat new to doing business over the internet as opposed to the phone or by postal service thought I would go on line and sign up my Eppicard. I was entering my password the second time and I got a notification informing me that the password was wrong and the system locked me out. I tried to call and talk to a human to get that resolved but no matter what I did, there is absolutely no option to speak with a rep. I finally got back on line and found the corporate phone number. A Xerox receptionist answers the phone. She goes to connect me with Eppicard...... its the same darn system as the number on the back of the card and of course no option to speak with a human! I call back and get the same very pleasant Xerox receptionist and I explained to her what had just happened. She said she would connect me with another number. When the voice came on it sounded like a generic cellphone voicemail. With all the empty business complexes in our country and unemployed fellow Americans you would think that a company such as Eppicard who must take care of numerous people could have an actual customer service center or call center ( here in America) where as these issues can be resolved. What to do now? Email corporate with my complaint? Call the CEO? Someone withdrew hundreds of dollars from my bank account using Eppicard. They created a fake debit card and then posed as me so they could change the access code tied to the account. I had hoped my money was secured by their bank but I guess I was wrong. I've tried to call customer service over and over again and they will not refund my stolen money. People should be warned before the trust their money with Eppicard! I like using Eppicard but have had several confusing issues with my PIN number they issued me. First of all getting a PIN is easier said than done, it took almost a week to hear back from them. Then I got mail with a warning telling me that my PIN # had been used somewhere and they were sending me out a fresh card to replace it. I immediately called the customer service line to make sure everything was ok. Got put on hold, asked for the manager, got put on hold, and finally was able to talk to a rude woman who told me that the mail was a mistake and to ignore it. What do you mean ignore it? You sent it Eppicard!